The public is invited to attend a FREE educational seminar, Understanding Dementia, Alzheimer's Disease And Parkinson's Disease, on Saturday, July 21 at St. Catherine's Village in Madison, Mississippi. MADISON, Miss., July 10, 2018	(Newswire.com) - St. Catherine’s Village is presenting the free educational seminar Understanding Dementia, Alzheimer’s Disease And Parkinson’s Disease on Saturday, July 21, 2018. A neurosurgeon, Dr. Huang‘s clinical practice is focused on general neurology with a special interest in neurodegenerative and movement disorders such as Alzheimer's disease, Parkinson's disease, Tremor, Vascular dementia, and Mild Cognitive Impairment. His research interests include exploration of experimental therapeutics for Alzheimer's and Parkinson's diseases and the study of Neuroimaging biomarkers for aging and dementia. Dr. Huang is a member of the American Academy of Neurology. With more than 30 years of experience, Dr. Stover specializes in neurology and movement disorders such as Parkinson’s disease and Dystonia. She is affiliated with the University Of Alabama Hospital at Birmingham (UAB), one of eight Advanced Centers for Parkinson Research as designated by the American Parkinson’s Disease Association. 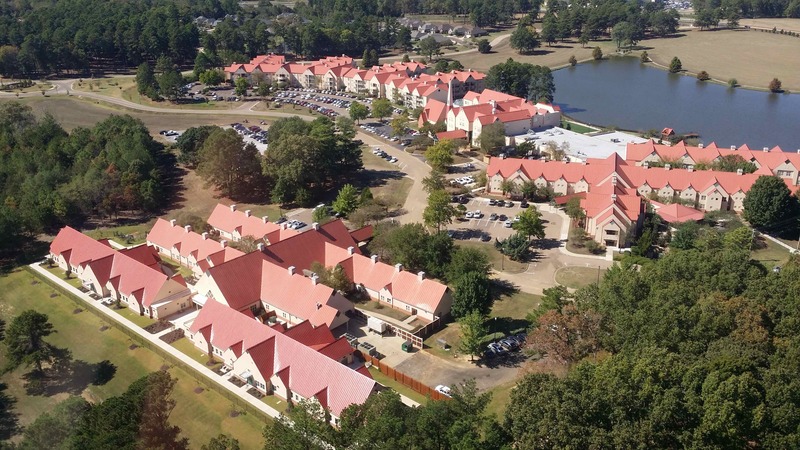 Located in Madison, Mississippi, St. Catherine’s Village offers multiple levels of care for those with memory loss. Campbell Cove and the Hughes Center are both licensed by the State of Mississippi as “Alzheimer’s Assisted Living” facilities. Together, they offer a warm, home-like environment for individuals facing memory loss due to Alzheimer’s disease and other forms of dementia. All memory care staff members are trained in specialized programming so that residents receive loving, nurturing assistance based on their level of need. Campbell Cove specializes in activity-focused care with the objective of fostering involvement and engagement through an array of stimulating and interesting activities. The Hughes Center, on the other hand, offers more person-centered care for those who benefit from less stimulating activities in a smaller group environment. To allow residents with dementia or Alzheimer’s disease to age in place more comfortably, skilled nursing dedicated to memory also is available in the Hughes Center, which is licensed as skilled nursing. St. Catherine’s Village is an all-inclusive life care community with a mission-focused environment that encourages residents in all levels to enjoy fullness of life, health and faith. It is the first all-inclusive CCRC (Continuing Care Retirement Community) in the state to earn accreditation by CARF-CCAC. This “commitment to excellence” seal signifies that the campus exceeds the standards established by the only international accrediting body for CCRCs. The property boasts 160 acres of wooded grounds, protected and beautiful outdoor spaces, and unparalleled facilities along with 24-hour on-duty security. Independent living in apartments and garden homes along with assisted living in Marian Hall are available in addition to memory care. Since space is limited, reservations are required to attend the seminar Understanding Dementia, Alzheimer’s Disease And Parkinson’s Disease. To reserve a seat, call St. Catherine’s Village at (601) 856-0123.